Foreston Crossing is a neighbor retail center, anchored by Weis grocery and CVS, located in Northern Stafford County, VA. The building pictured above, 100 Susa Drive, is a 6,000 sq. ft. freestanding retail building. The building is situated on a 6.95 acre parcel and features large open space, storage space, 2 bathrooms, as well as a roll-up door used for deliveries. Foreston Crossing is located on Route 1/Jefferson Davis Hwy in Stafford County, Virginia. 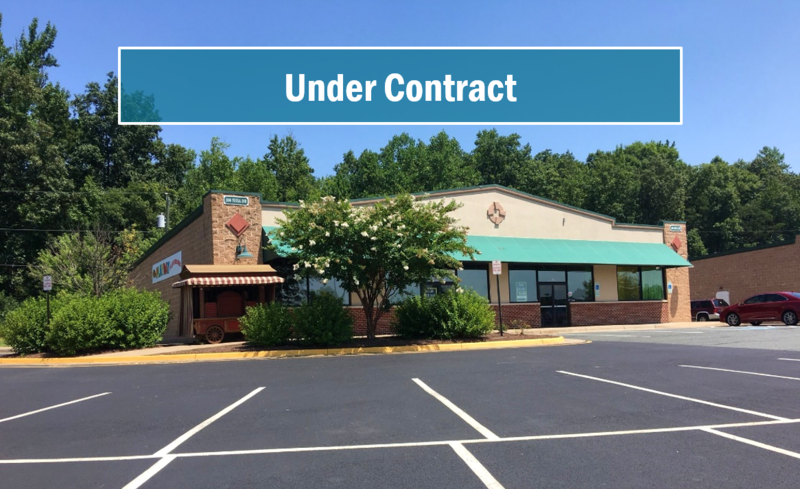 The building (subject property) is situated on 6+ acre parcel within the neighborhood style retail/business center that features a Weis grocery store, CVS, Dominos and other retailers. The property is just 1 mile from I-95 via exit 143 and is also convenient to exit 140 – Courthouse Rd. The center is situated at the entrance to Foreston Woods, a 120 unit town home community and surrounded by other major residential communities such as Aquia Harbor with 2,300+ homes. The area is also seeing substantial residential growth with new communities underway including the 1,600 lot community, Embrey Mill. This growth will continue, as Stafford County is projected to be the fastest growing suburb of Washington D.C. through 2040.